I am ridiculously, notoriously bad at reading the books on my reading list. I envy the people who can put together a list of books to read and then actually get through the books on their lists. There are lots of people who do it. I am just not one of them. I actually looked through that list again just now and went, "Ooooooh, yeah. I really want to read that!" But just because I haven't gotten to any of the books I wanted to this year doesn't mean that I haven't been doing any reading. Its just, you know, none of the reading I planned on. Ha. After years (years) of hearing how good this book is and how it's been so good for my friends' marriages, I finally read it and I must say, those recommendations were so right. This book was filled with "aha" moments, and even clarified a couple old arguments that I didn't understand. Seriously, though. These books, designed for a study with a group, were so good that I didn't have a group and didn't take months to go through them. I think I would have gotten more out of them if I had done a group study with these books, but my goodness. There was just so much good stuff in them. Highly, highly recommended. Sara Hagerty writes like a poet... a poet who has a unique insight into a hurting soul. Her pinpoint definitions of the feelings of infertility were spot-on-- she gave words to the sore spots of my heart. While the book does discuss infertility and loss, this thing is for anyone who is looking for the heartbeat of God. You'll love it. Read it slowly. I was invited to be part of a book launch team for Jennifer Dukes Lee's new book about happiness, so I also read The Happiness Dare this year. I liked the concept of the book, but it seemed a little shallow to me. I thought it the part about defining what makes you happiest was helpful, but the descriptions of each happiness style were a little redundant to read through. Liked it, didn't love it. I went through the Armor of God study through my church, and then through my other church... and wow. Just... wow. I really enjoyed the study. Great biblical teachings, deep truths, and new perspectives, and Priscilla is really funny. This was my first Shirer study, and I'll definitely being be seeking out more of her work. Just wonderful. ... and there were more... but those are the ones that stood out from this year. What did you read in 2016? Any suggestions? I read quite a few books every year. I do not make a list. I usually just go to the library and grab a stack (5-6)that sound good and take them home to read. I am also a big fan of Project Gutenberg at gutenerg.org. They are trying to archive all books that are no longer under copyright due to age, etc. I found it about 3 years ago and have loved finding old books to read. I'm not good at sticking to a book list either! I get distracted by new, awesome looking books! Great list! I'm the same...I have a ton of books that I own that I haven't opened yet, but when you get the opportunity to get free books through blogging...those on your shelves kind of take a back seat!! Thanks for linking up with the Reading Roundup! Girl, I am the same way. 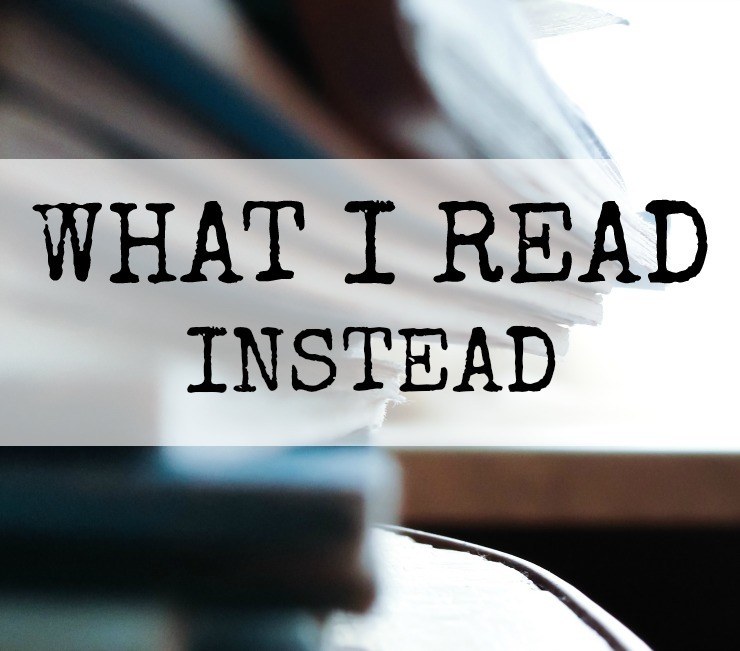 I create so many lists on Goodreads and post them on the blog and I NEVER complete them! lol I need to learn that this part of my life just cannot be planned as much as I want it to. lol These all look like great ones, though!